With this grant the Fund for Lake Michigan renews its ongoing support of RootWorks, an ambitious redevelopment plan for the Root River Corridor in Downtown Racine. 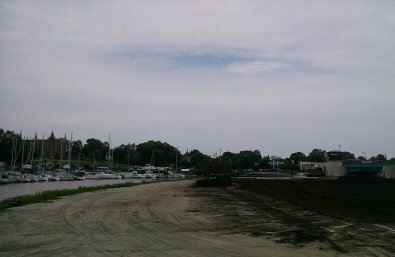 This phase of the project will involve using recycled dredge material to fill in Belle Harbor, a small craft marina that became unusable as the river filled it up with sediment. Fund support will also help to restore and stabilize an area along West Bluff that will be the site of future pedestrian and bicycle paths, interpretive activities, and a scenic overlook.